To be sure, the world would be a better place without an Iranian nuclear weapon. 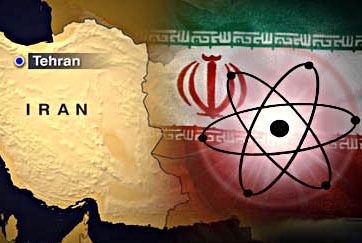 An Iranian bomb would be a setback for the global nuclear nonproliferation regime, for example, and the arms control community is legitimately concerned about it. It would also raise the possibility that other regional states, such as Saudi Arabia or Egypt, might be more inclined to try to acquire nuclear weapons as well. But that raises the question of why these states have not already done so, despite decades of facing both Israel’s nuclear force and tensions with Iran. ….Indeed, the alarmists offer more inconsistent arguments when discussing the dynamics of a Middle East in which rivals of Iran acquire their own nuclear weapons. If, as the alarmists project, nuclear weapons would appreciably increase Iranian influence in the region, why wouldn’t further nuclear proliferation—which the alarmists also project—negate this effect by bestowing a comparable benefit on the rivals? As a notable non-expert in nuclear proliferation theory, I don’t have a lot to add to this. But it does seem like it deserves a little more than just a couple of paragraphs. Nuclear proliferation isn’t necessarily driven by sober logic, and other states might acquire nukes just because they’re scared. And while most governments, no matter how odious, are pretty rational about their own self-preservation, not all of them are all the time. More countries with more nukes would almost certainly increase the odds that someone, sometime, would do something crazy. Now, if I had to guess, I’d say the main obstacle in the way of growing proliferation is simply that it’s harder and more expensive than it looks. Saudi Arabia might be able to do it, but could Syria? Or Lebanon? Or even Egypt? Maybe, but it’s far from a certainty. In any case, I think this probably deserves more discussion, if for no other reason than the fact that it’s Barack Obama’s primary argument for preventing Iran from going nuclear. You might not need to convince me that it’s a bad argument, but you sure need to convince him.